Mary Lois Slade Brunker, 94, of Cynthiana, died Thursday, December 14, 2017, at University of Kentucky Hospital. Mary Lois was born November 13, 1923 in Bourbon County, Kentucky, a daughter of the late Rupert H. and Jessie Kate Moreland Slade. 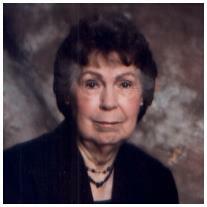 She was a member of the Salem Church of Christ, a volunteer for Cynthiana- Harrison County Museum, and retired from U of K, as Harrison County Extension Assistant in Food and Nutrition. She was preceded in death by her brother, Harold Slade and sister in law, Dorothy Slade. Angela (James) Gray, Alicia (Matt) Burkle, Marilou (Garrett) Stovall, Timothy (Laura) Wilson and Janette (Johnny) Shirey. Great grandchildren, Whitney Gray, Blake Burkle, Skylar Burkle, Annabelle Burkle, Grace Wilson, Holden Wilson, Corban Shirey, Caden Shirey, Caleb Shirey , Eden Shirey, and a special friend of the family Kayla Smith Hale. Services will be conducted 10 AM Monday, December 18, 2017, at Drake-Whaley-McCarty Funeral Home, by Dale Kendrick and Terry Morrison, with burial in Battle Grove Cemetery. Friends may call from 5 to 8 PM Sunday, at the funeral home. Memorials may be made to Salem Church of Christ Mission Fund, Abdell Cemetery Fund or Bluegrass Care Navigators.